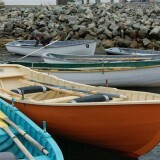 “Wherever you went, you either walked or rowed on Change Islands. 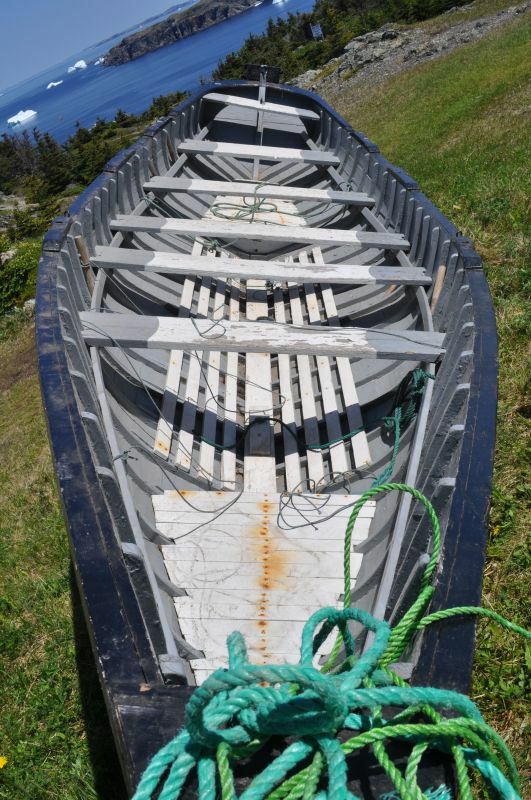 Everybody had a punt,” said Calvin LeDrew. 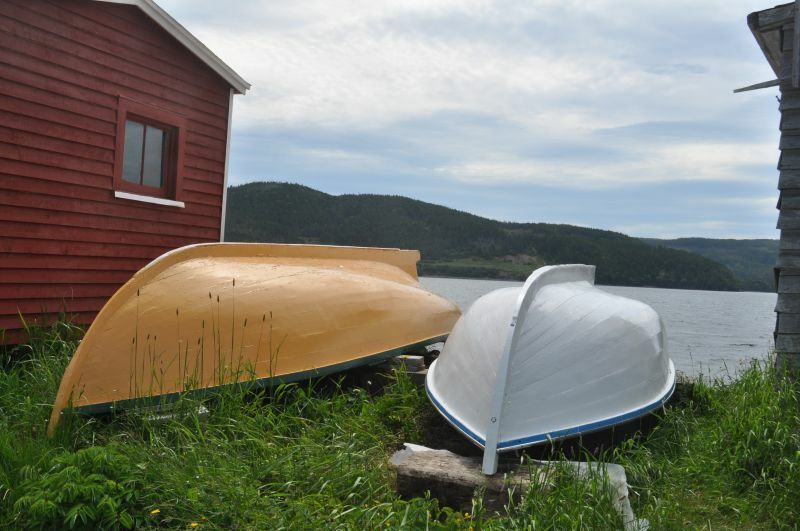 Born in 1942, his father Harry was a fisherman and boat builder from Change Islands, and his mother, Lucy (White) was originally from Comfort Cove. 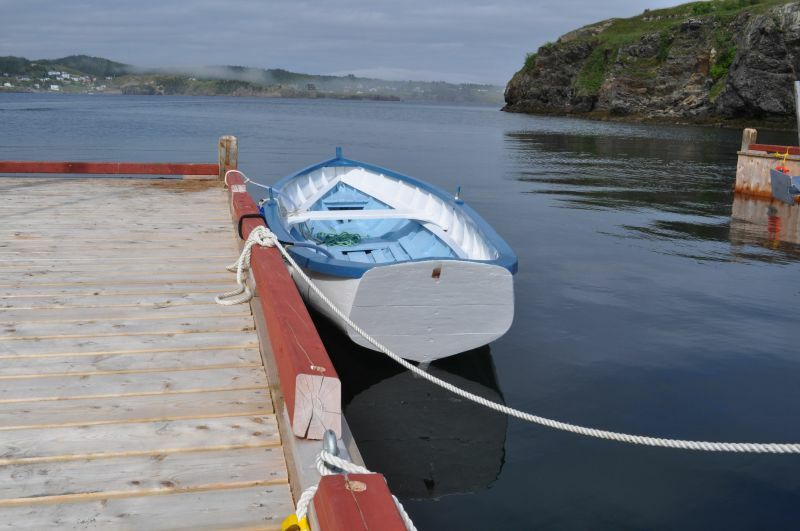 Calvin moved to Purcell’s Harbour on South Twillingate Island in the 1970s and spent his life working as a fisherman. “I’ve been at everything clear of the shrimp, I was never at that. 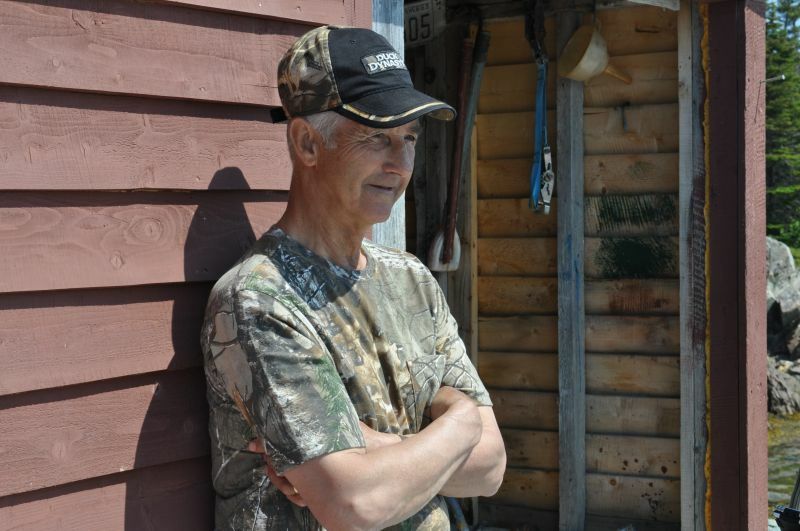 Cod, turbot, lobster, mackerel, herring, squid… whatever you could make a dollar at,” he said. 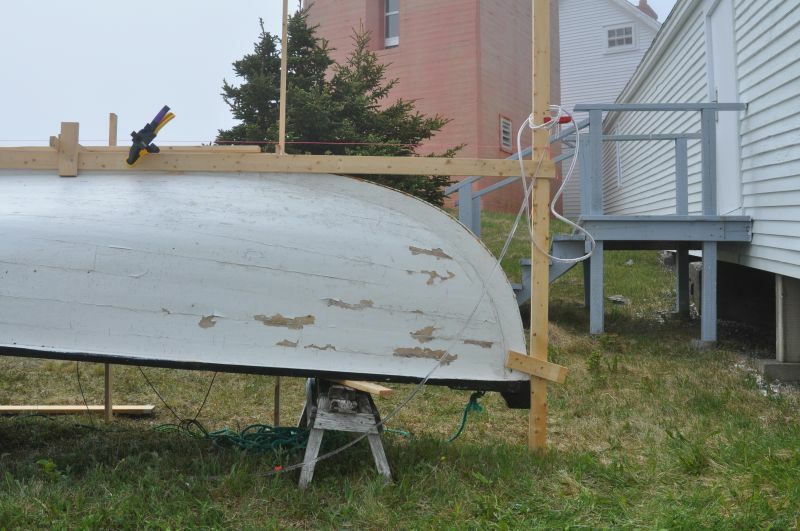 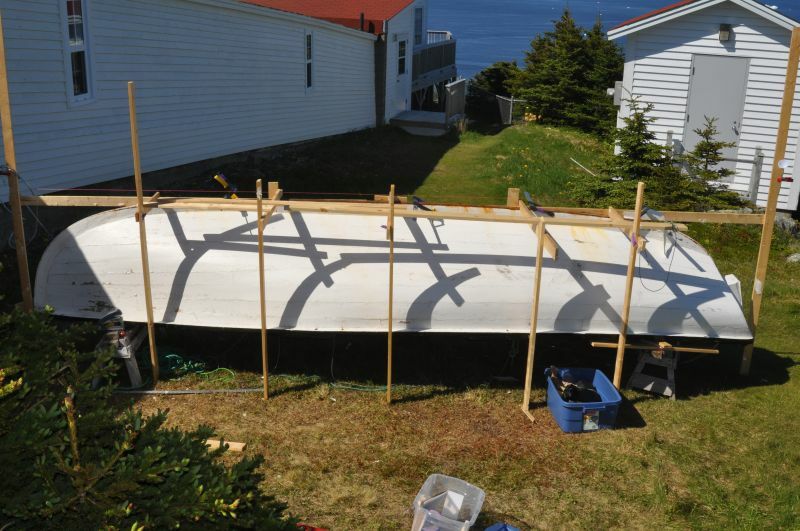 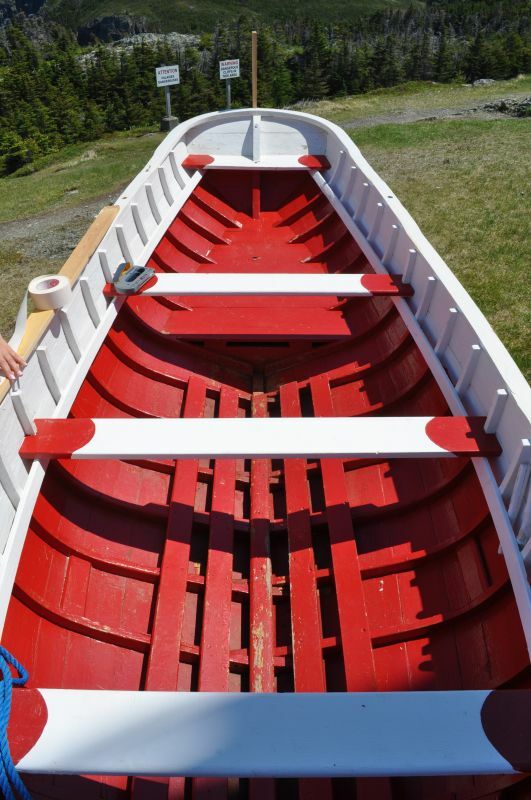 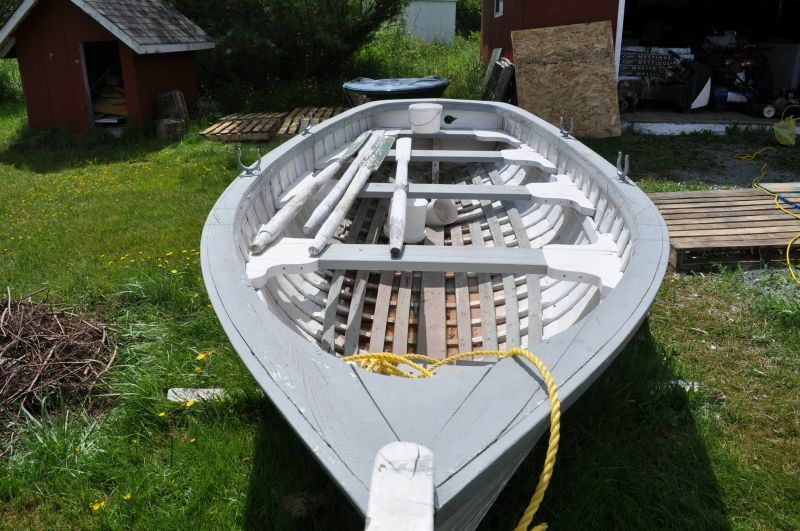 As a boy growing up Barr’d Islands on Fogo in the 1950s, Frank Combden learned how to build boats as part of a way of life. 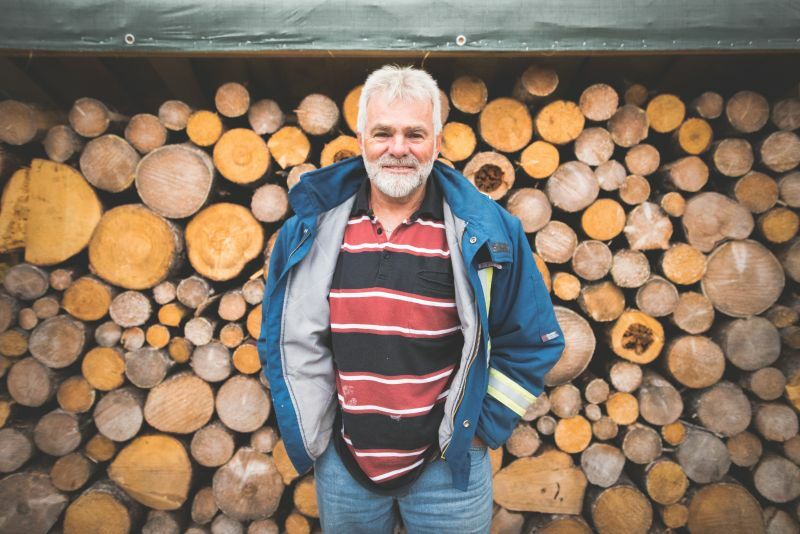 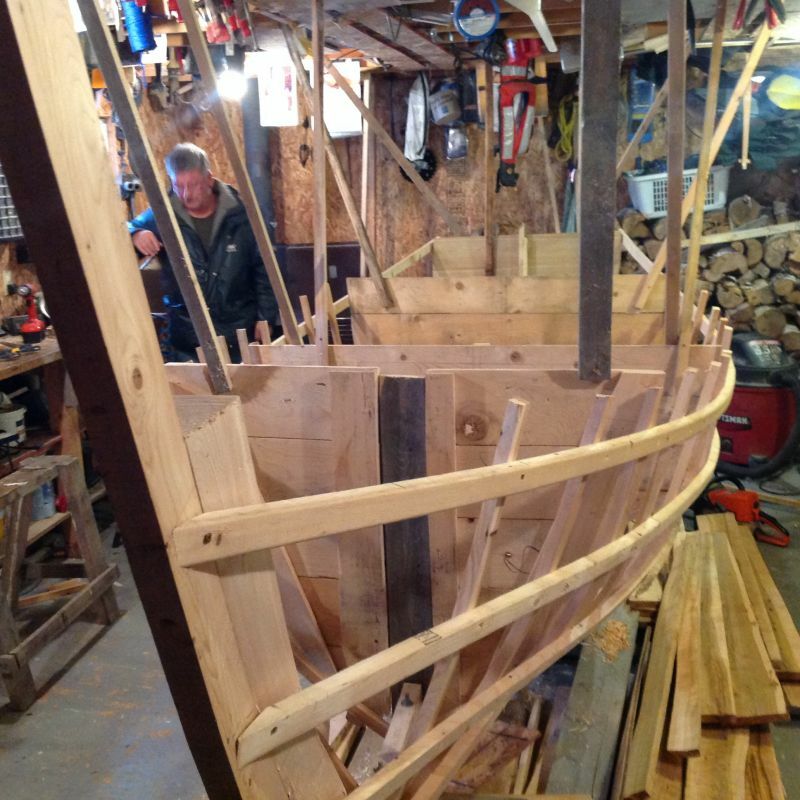 He watched as his father, George, and others built their fishing vessels and started building his own as a teenager. 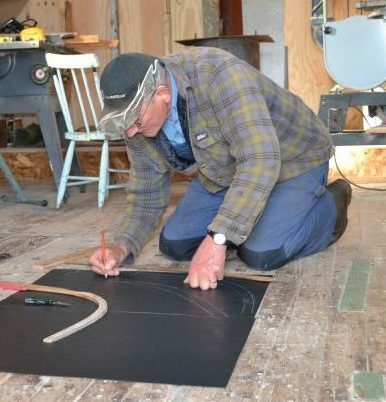 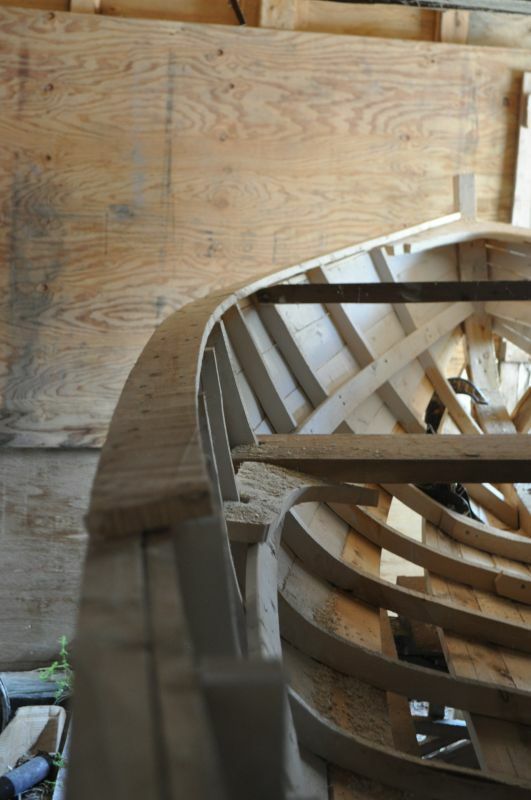 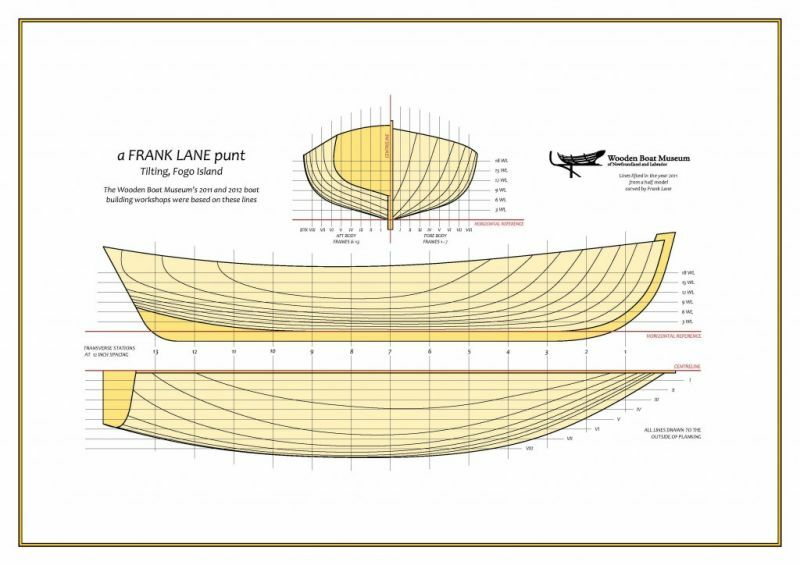 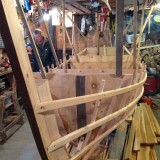 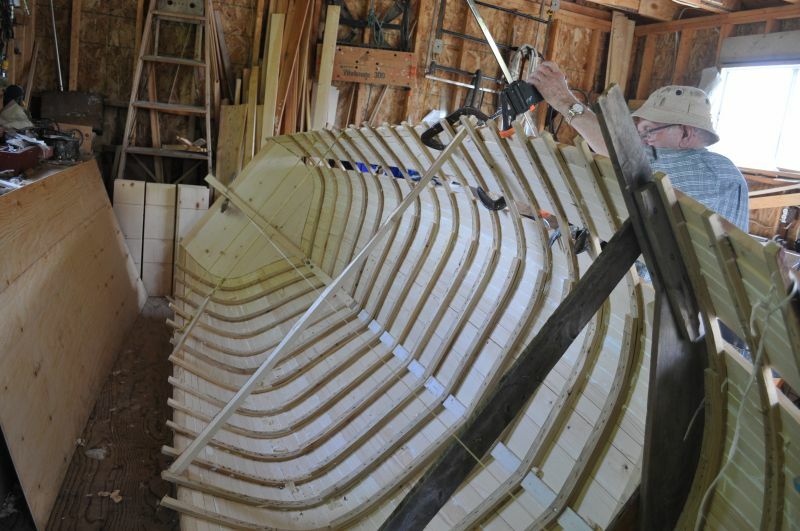 We met Frank in his shed where he described his process for building a 14’ row punt. 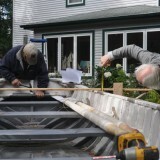 Frank uses a three piece mould to get the shape for the three main frames of the boat: the forehook, midship bend, and afthook. 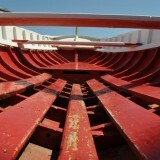 The three sticks are aligned according to sirmarks which indicate what section of the boat is being determined. 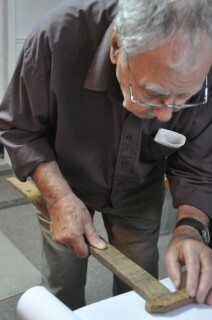 Eric Bourden showing a handplane that once belonged to his grandfather. 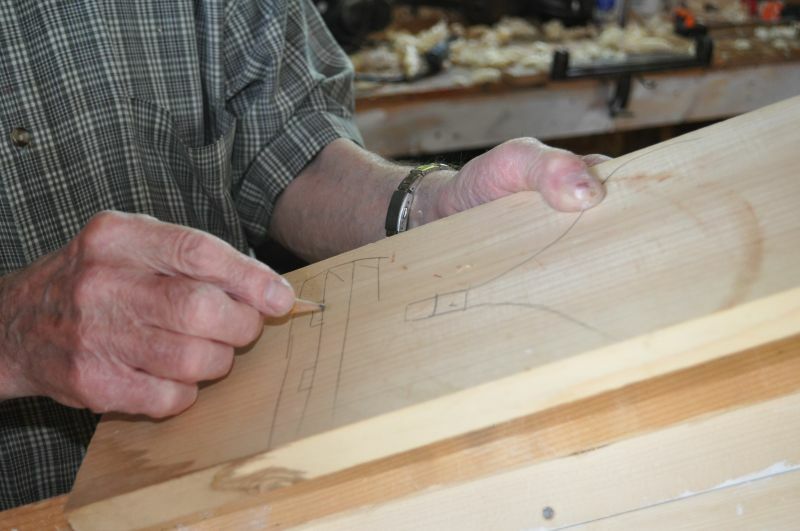 “These are some of the tools I use,” Eric Bourden said standing behind a table of handplanes. 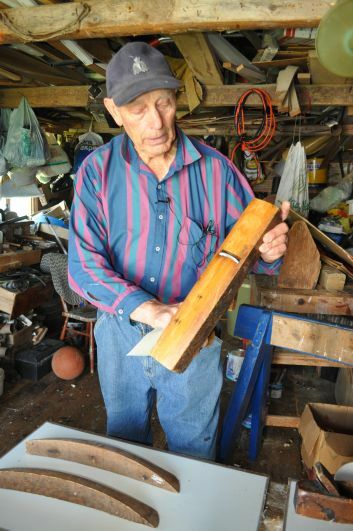 “I used them… My great-grandfather probably used them. 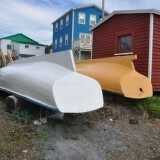 I know my grandfather did, and father.” In his shed, Eric show me relics from generations of Bourdens in Bayview, Twillingate. 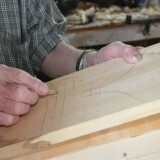 Some of the handplanes he estimates to be 150 years old. 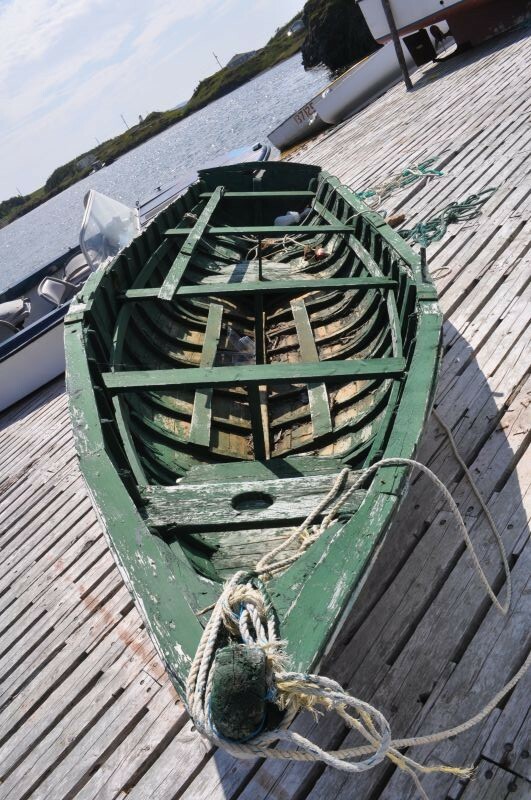 Born 1864 and married at 24, Thomas Head lived in Joe Batt’s Arm on the north coast of Fogo Island, Newfoundland. 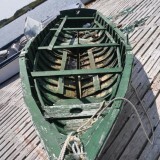 Thomas was a fisherman all his life but, to eke out a living with his wife Phoebe, he would likely have turned his hand to many other things in the course of a year. 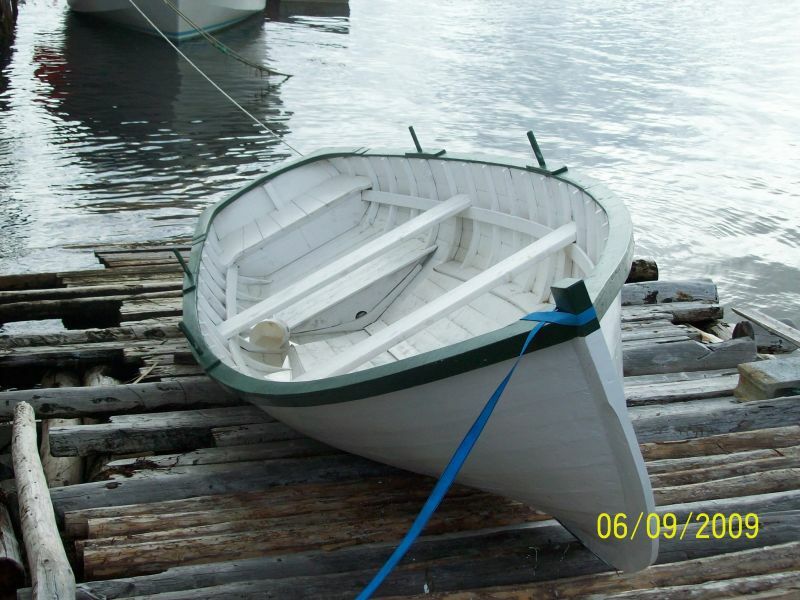 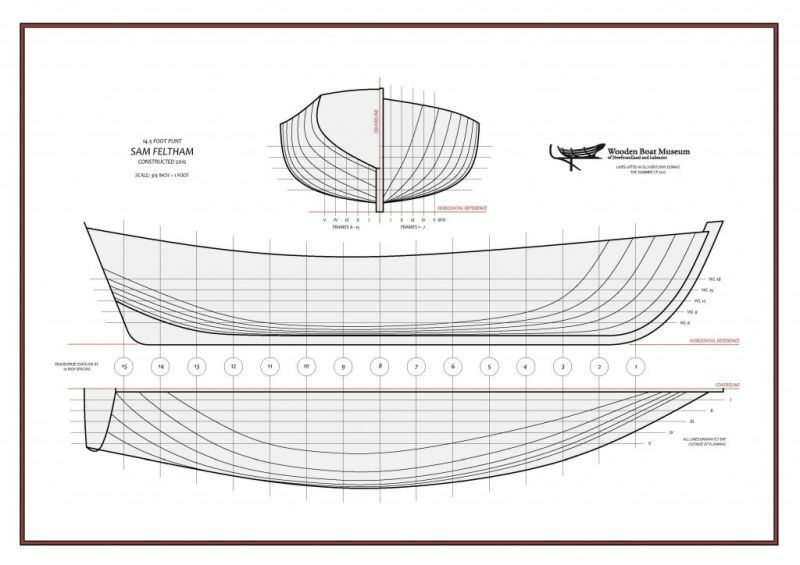 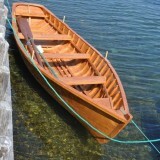 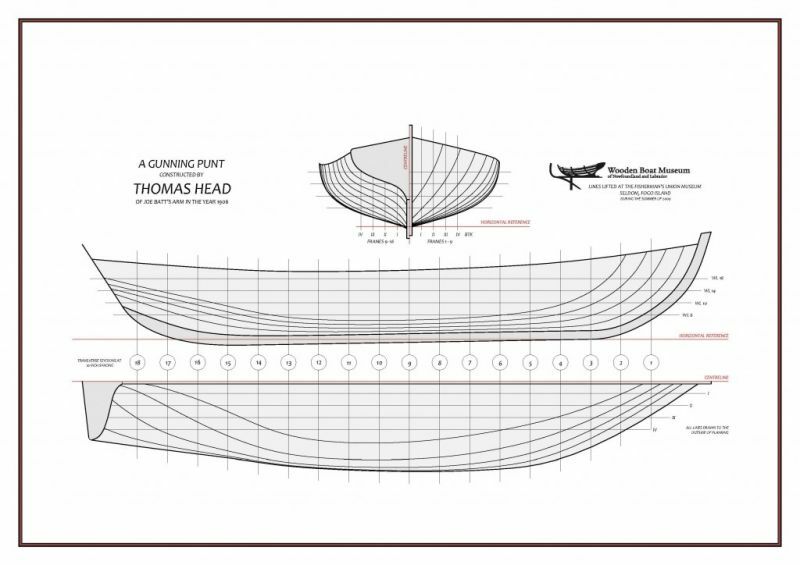 The distinction between a punt and a rodney, or if there is even a distinction to be made, is often debated among boat builders and enthusiasts. 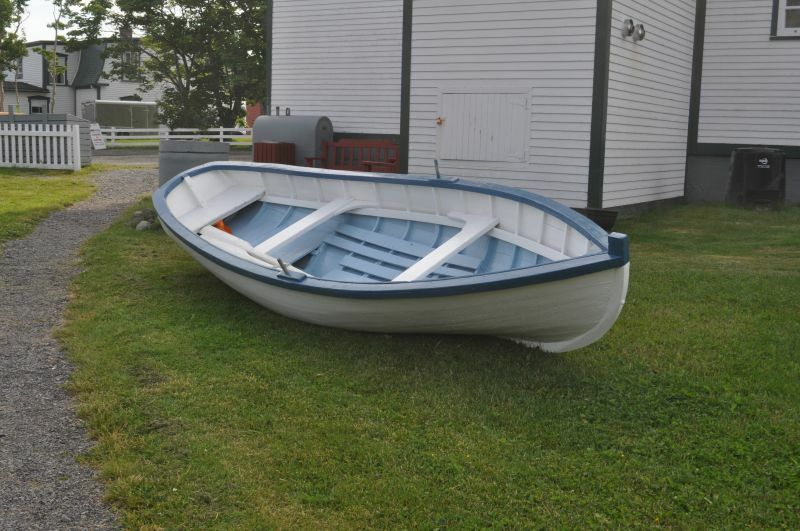 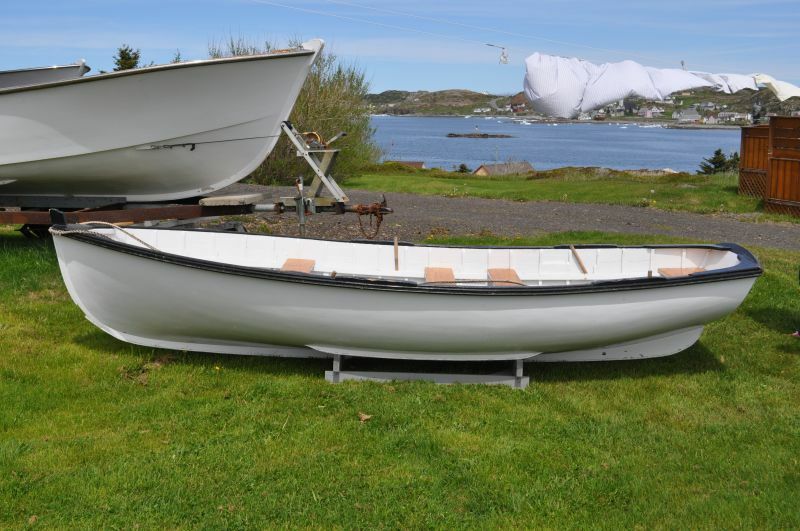 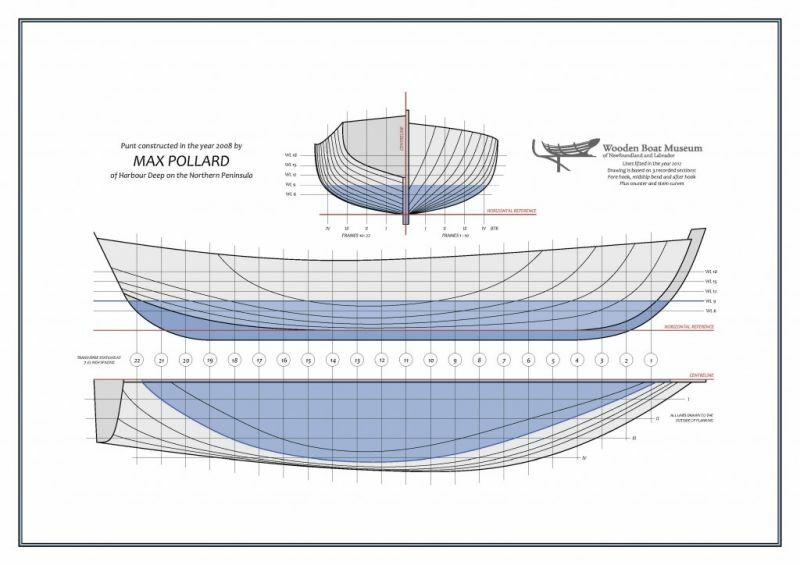 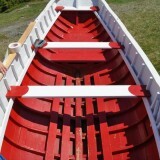 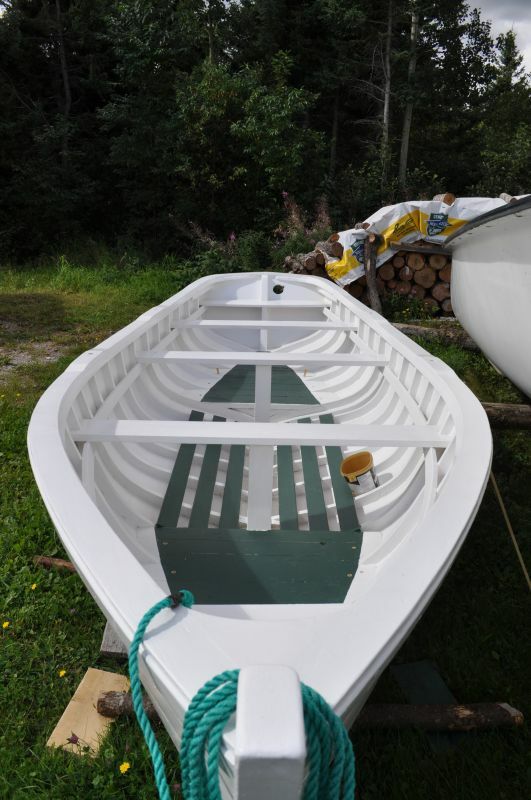 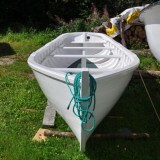 Both punts and rodneys are small (under 25 feet) work boats with keel and rounded bottoms. 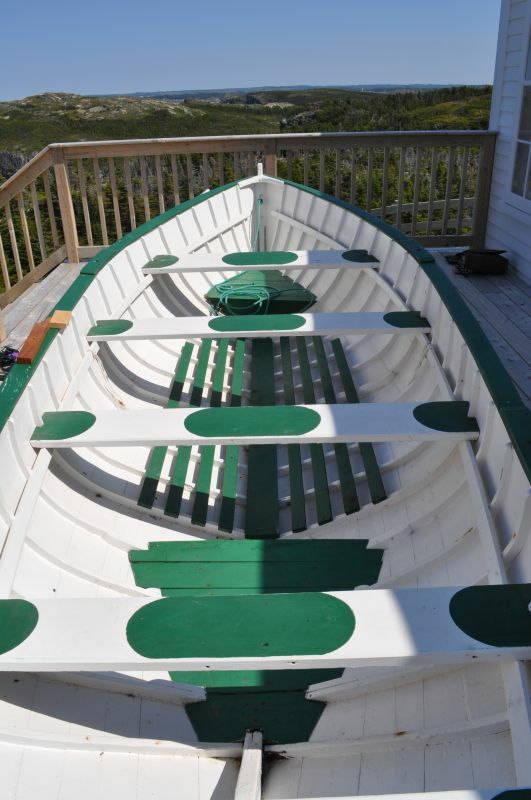 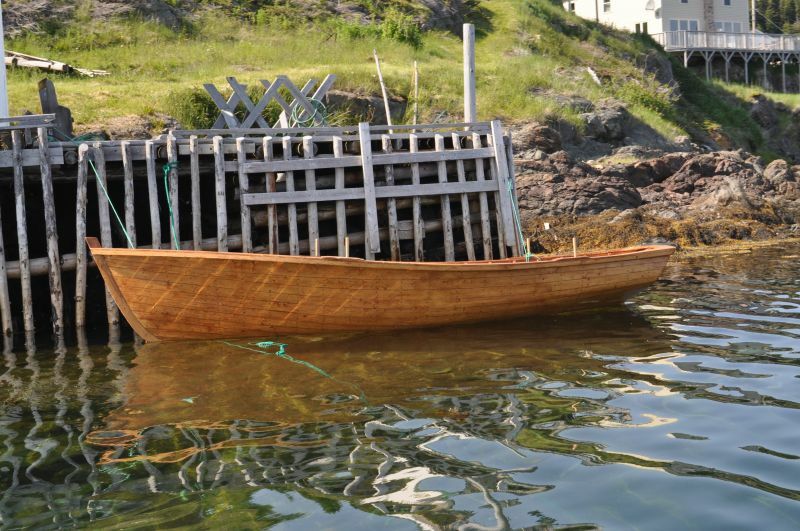 Used in the inshore and coastal fisheries, the design of these boats varies between communities and builders. 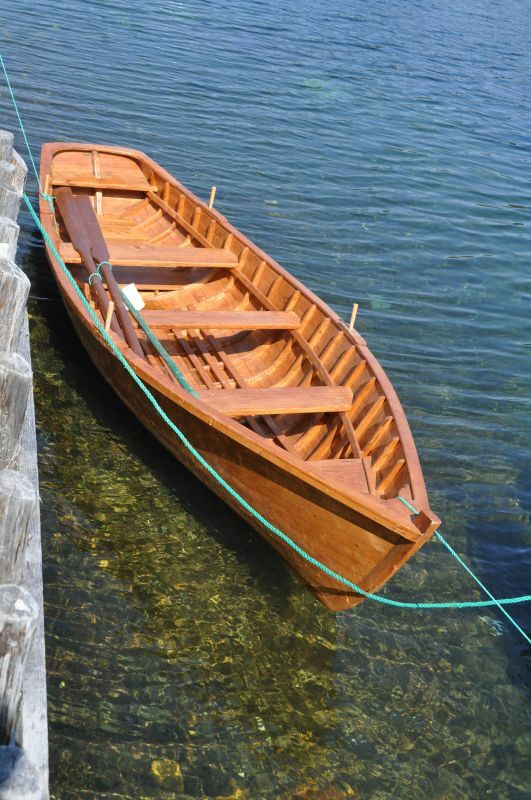 For some, the terms “punt” and “rodney” may be used interchangeably to refer to the same boat. 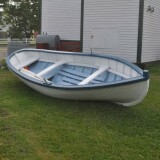 For others, a rodney is smaller than a punt. Sometimes the shape of the counter, or transom, is a defining feature. 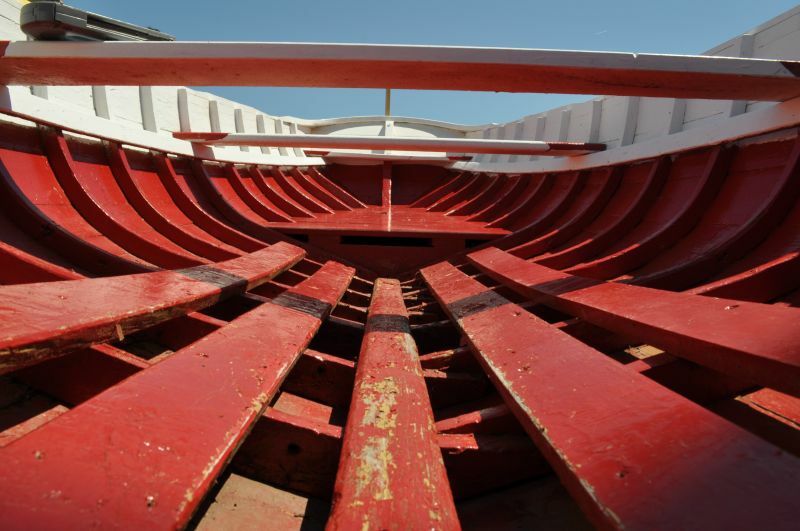 What do “punt” and “rodney” mean to you? Calvert Meadus was born in Loreburn, Trinity Bay on December 23, 1927. 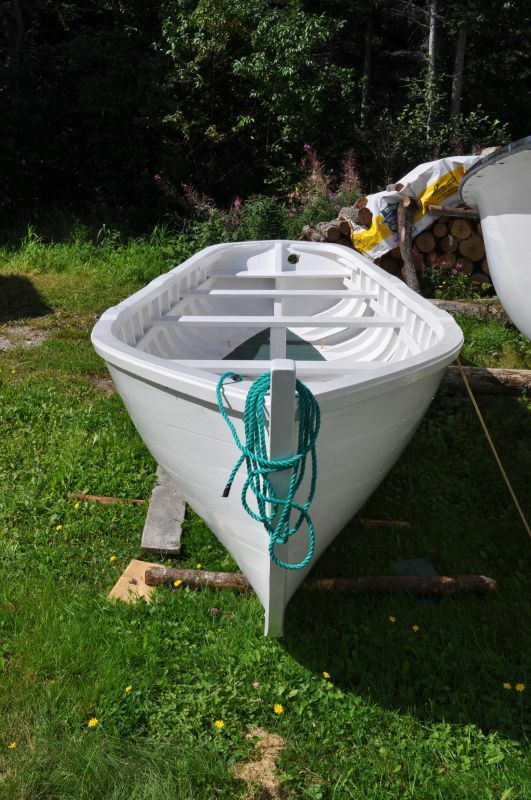 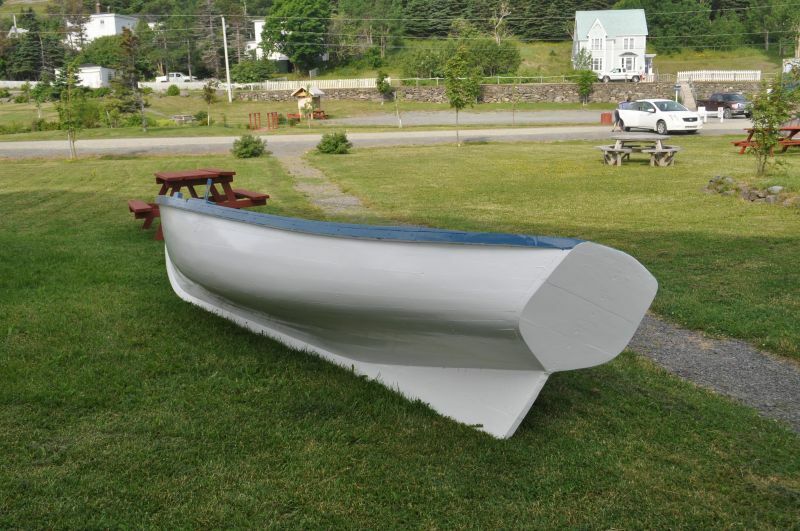 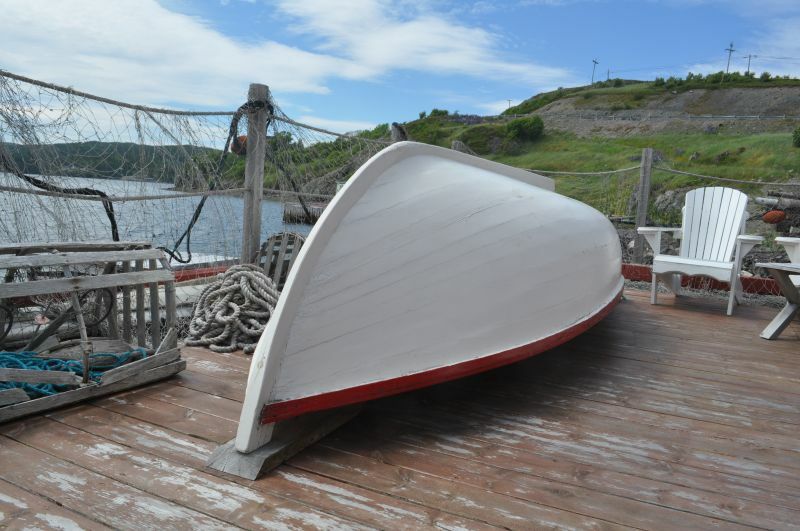 As a boy Calvie recalls watching his father Keid, Uncle Lige [Elijah] Price, and others as they built boats, using a three piece mould to shape every frame before assembling onto the keel. 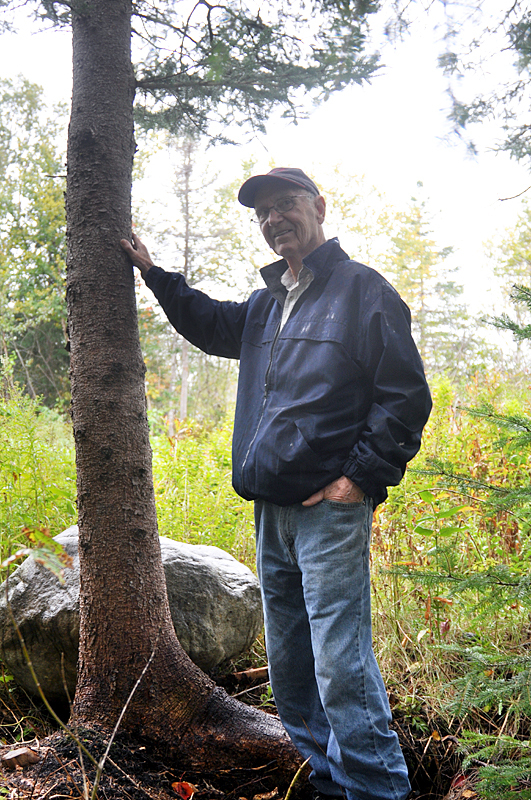 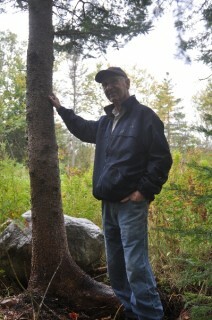 Earl Feltham was born on Deer Island in 1937. 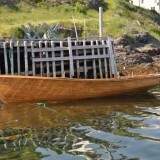 His father Ephraim, was a fisherman and a carpenter. In 1953, when Earl was 16 years old, Ephraim and his wife Suzy moved their family to Glovertown. 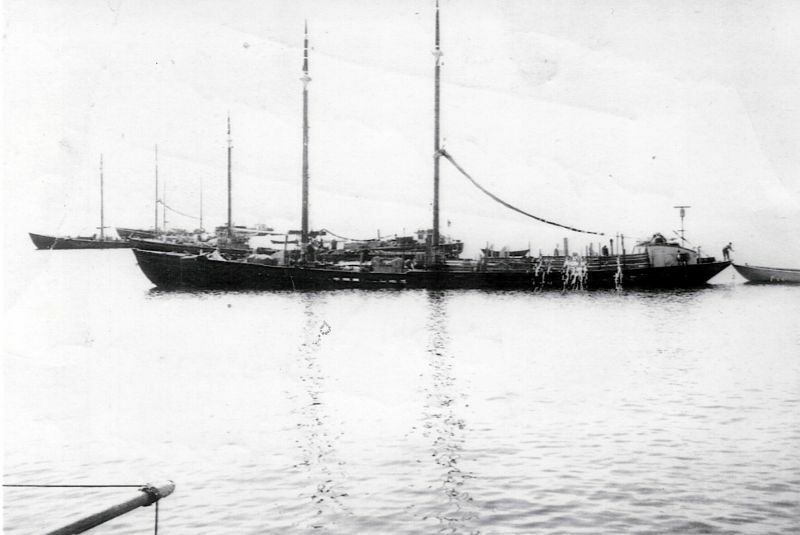 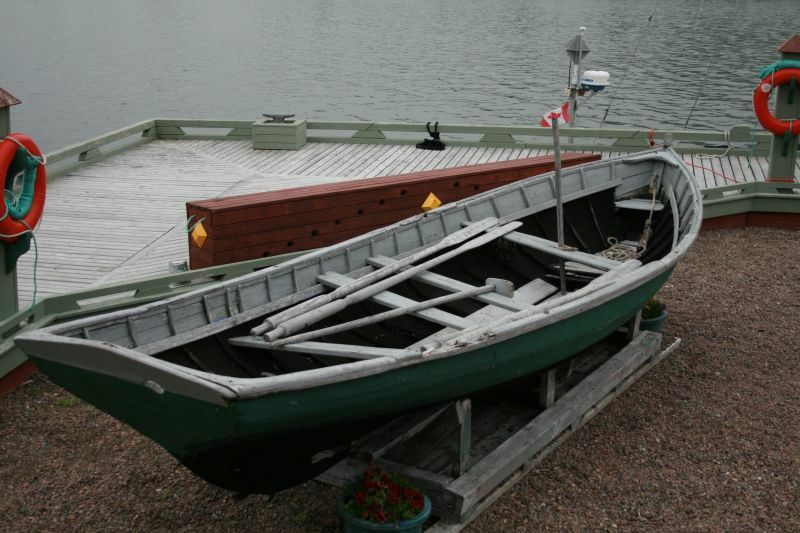 Earl went on to St. John’s where he attended the College of Fisheries (now the Marine Institute) and spent six seasons working on vessels along the Labrador coast. Sam Feltham was born on Deer Island in Bonavista Bay on March 3, 1928. 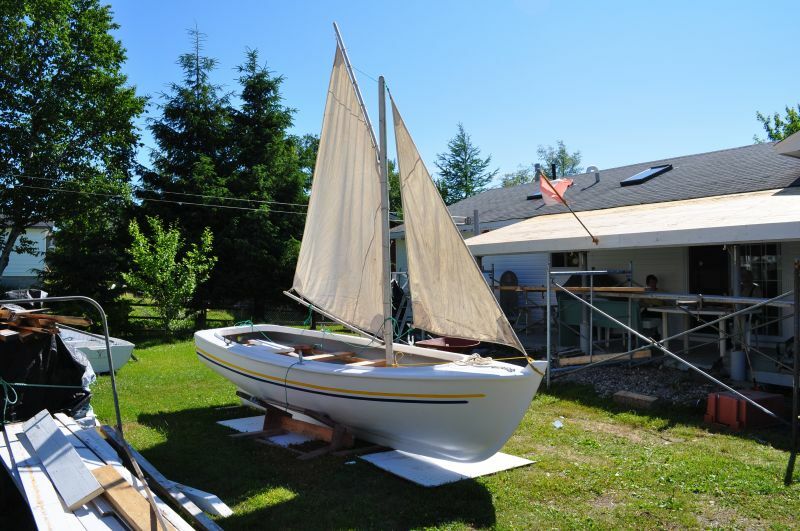 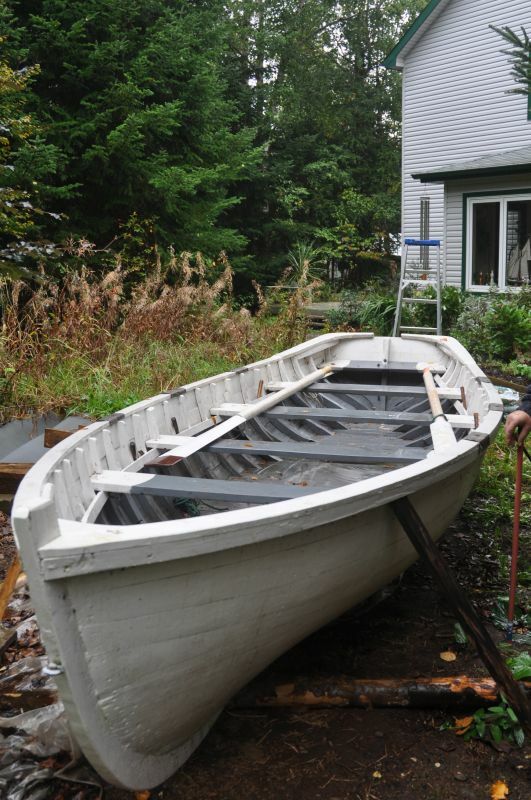 He built his first boat on his mother’s kitchen table at fourteen years old. 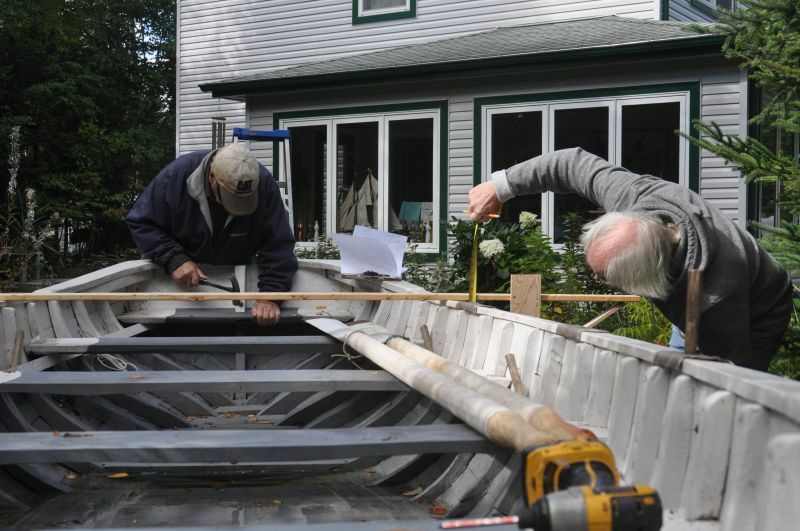 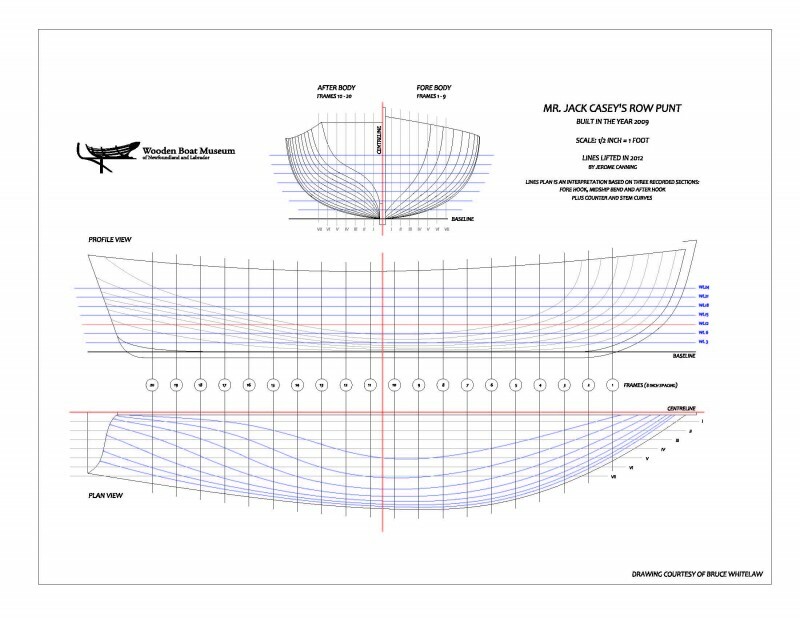 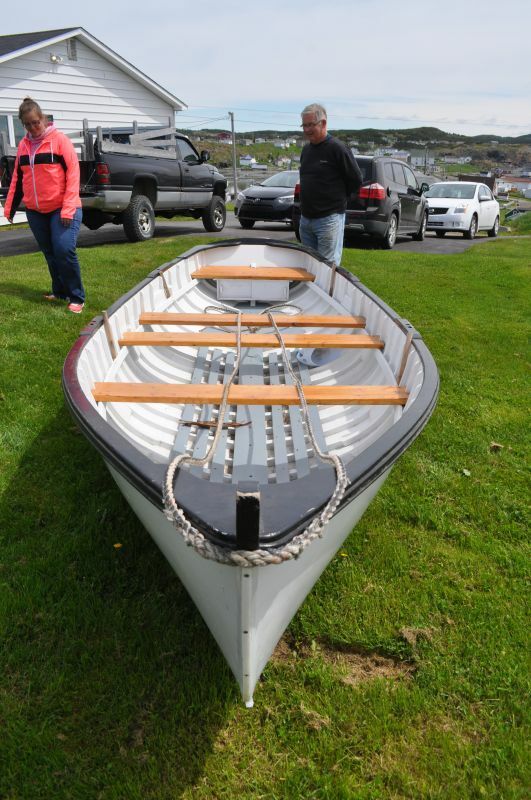 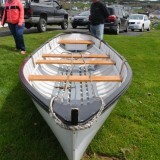 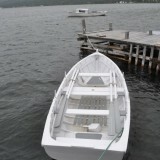 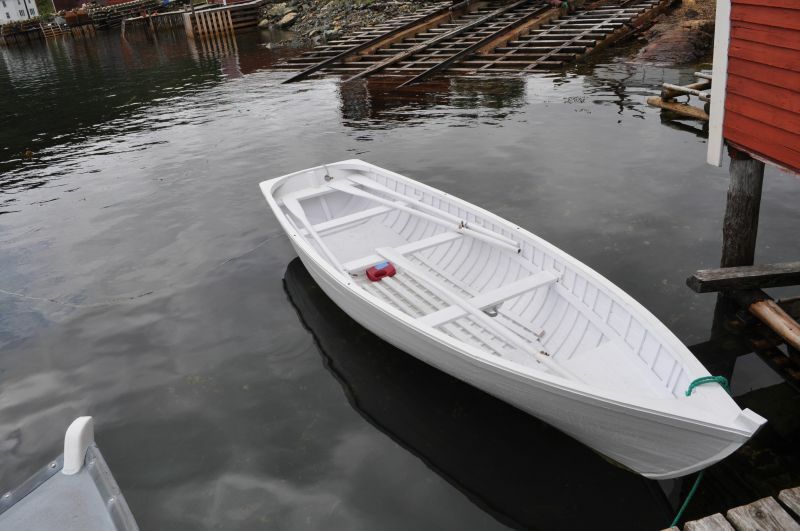 Jack Casey built his last boat, a sixteen foot row punt, in 2009 at eighty-eight years old. 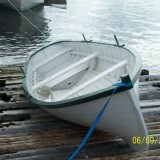 Used by Wally Skinner of Pasadena, she is twenty-seven inches deep and sixty inches wide at midships. 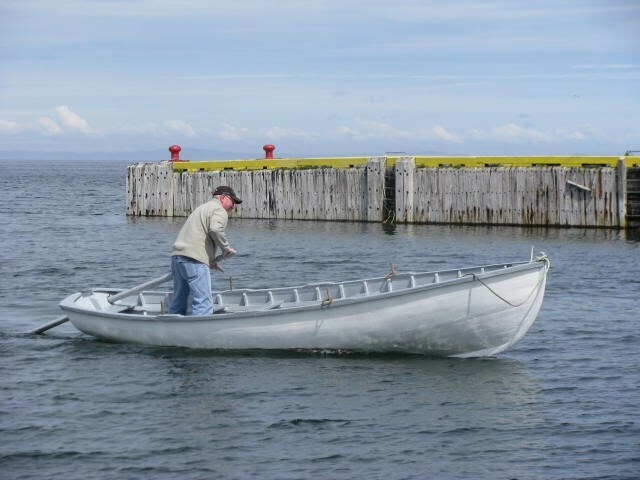 John (Jack) Thomas Casey was born on July 2, 1922 in Conche, a small fishing community on Newfoundland’s Northern Peninsula. 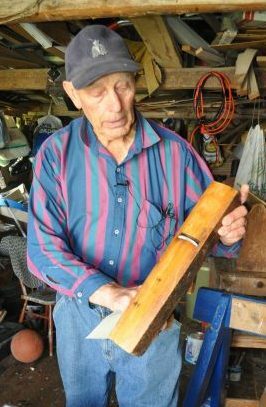 One of eight children born to Michael and Nora Casey, Jack started working in the lumber woods at only seven years old and was fishing with his father by the age of thirteen. 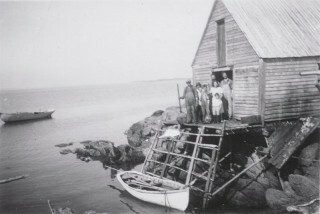 The Casey family, including Jack’s grandfather Michael Casey, moved up the coast from St. John’s to Conche in 1850 to be closer to the Labrador fishing grounds. 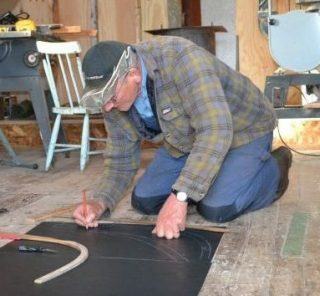 Jack spent all his life in Conche, earning his living as a fisherman in the summer and working in the woods in the winter. 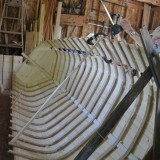 Built in Pasadena in 2008, Max Pollard constructed this punt for his daughter with timber cut in his own backyard. 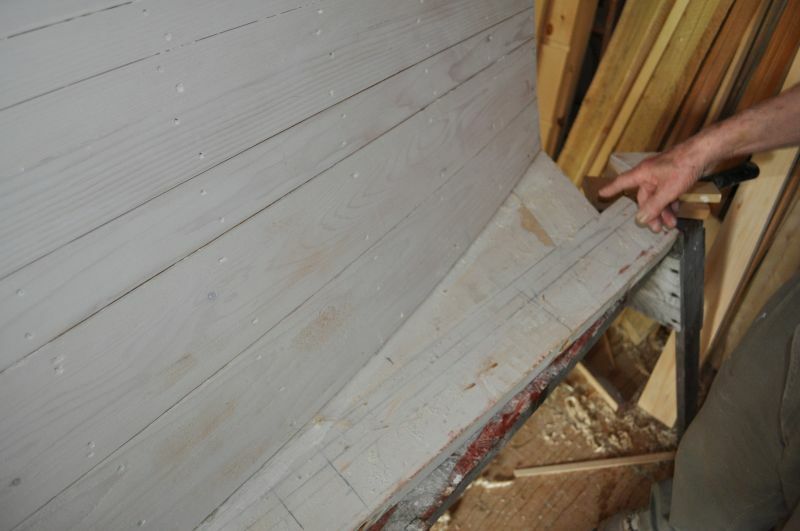 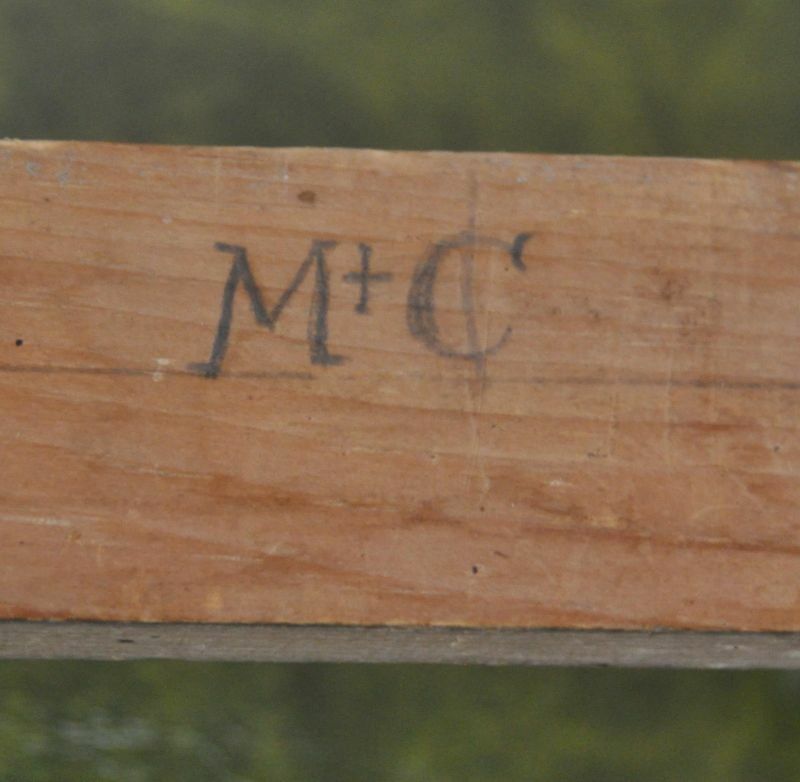 Used at Old Man’s Pond, Max made repairs in 2012 which included replacing a number of rotting timbers and the top two counter boards. 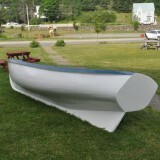 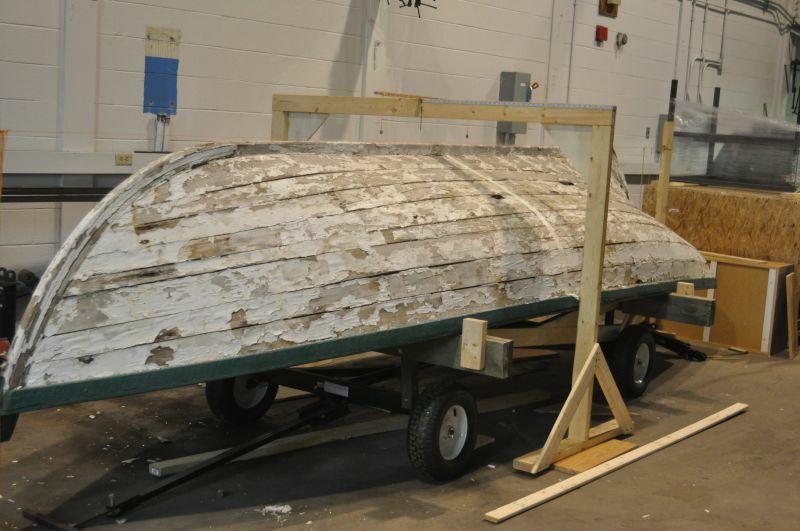 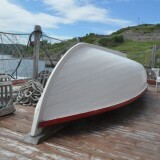 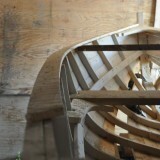 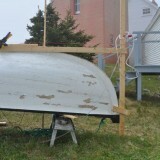 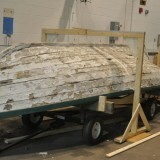 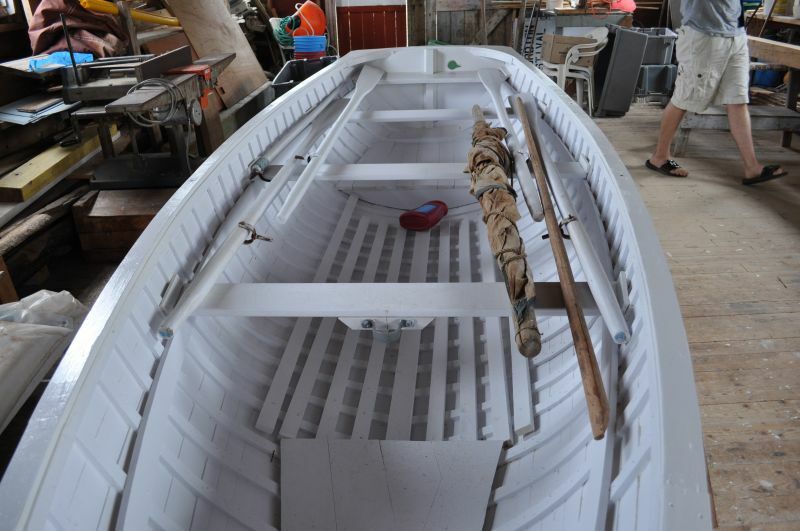 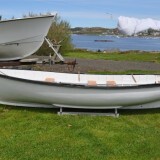 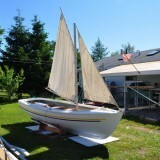 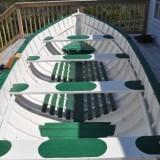 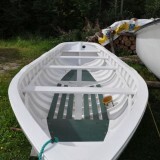 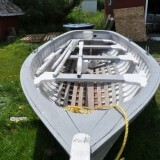 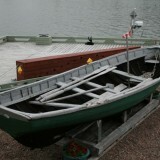 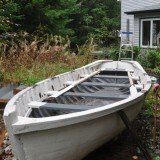 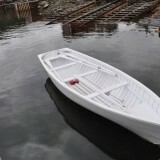 The three-piece mould is an old method for designing and building boats. 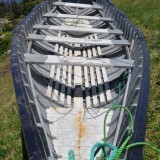 A lot of the first boats to come off our beaches and take to the fishing waters were boats built with these curved sticks of wood. 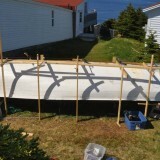 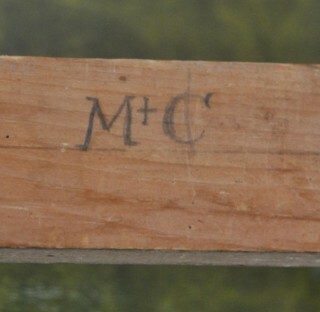 The method was widely used in Newfoundland and Labrador in the 1800s. 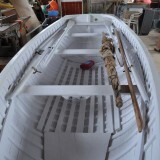 Moulds still survive in some communities; but mostly as items saved from the old boat sheds of our past builders. 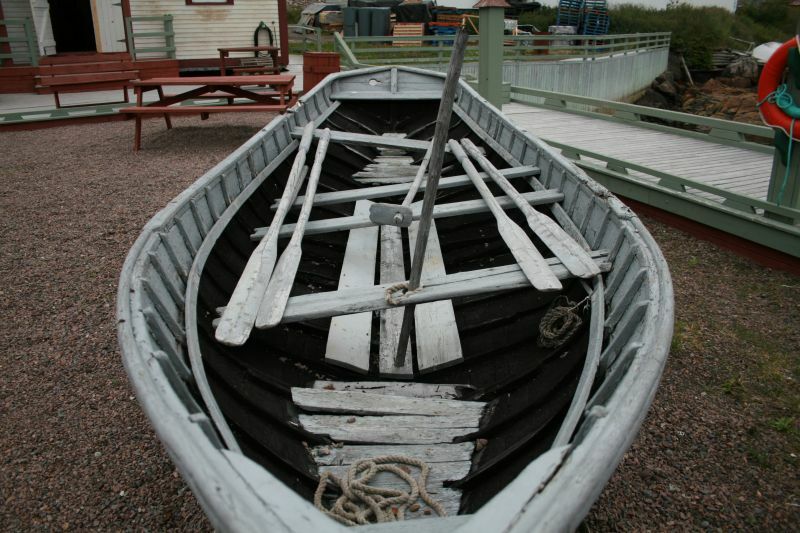 Samuel Andrews built this four-oared punt in Winterton during the 1930s-1940s. 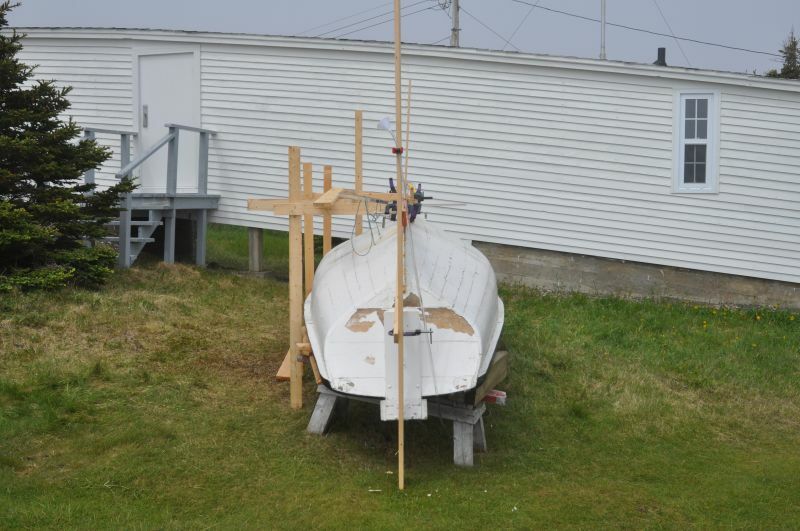 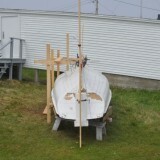 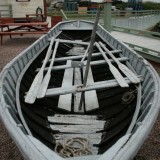 It measures 15’6” long and was used during the winter for hunting seals and sea-birds. 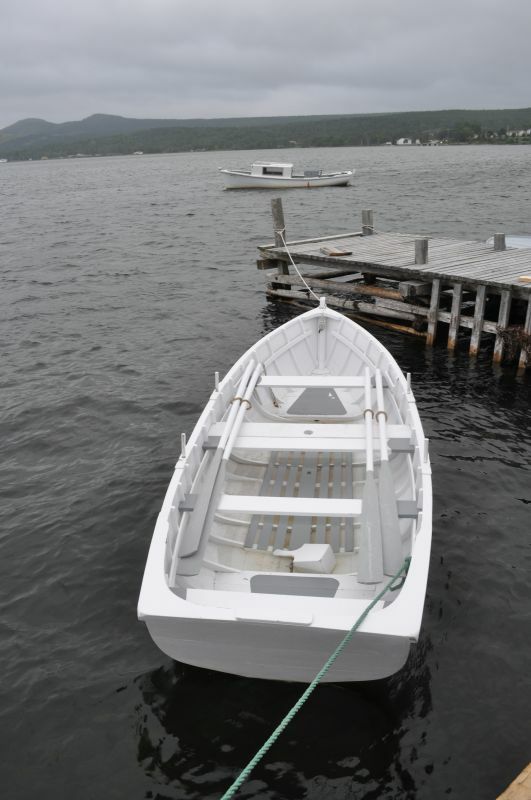 Built with thin planking and a smaller frame, it was designed to be lightweight and maneuverable through the ice. 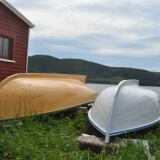 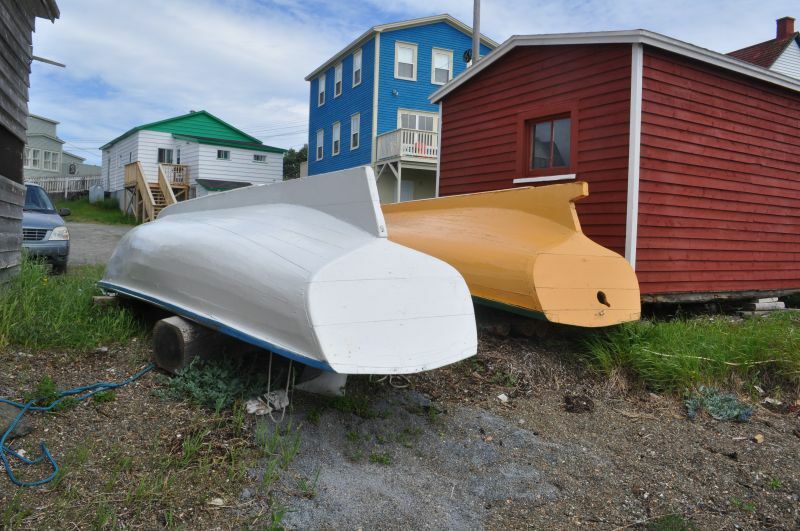 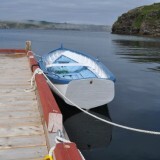 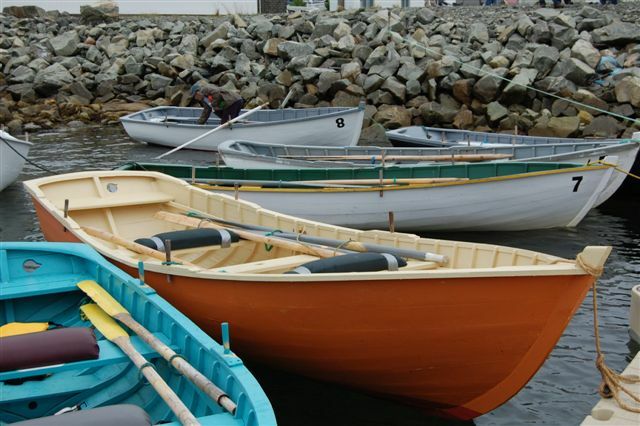 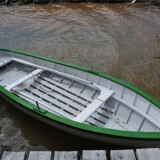 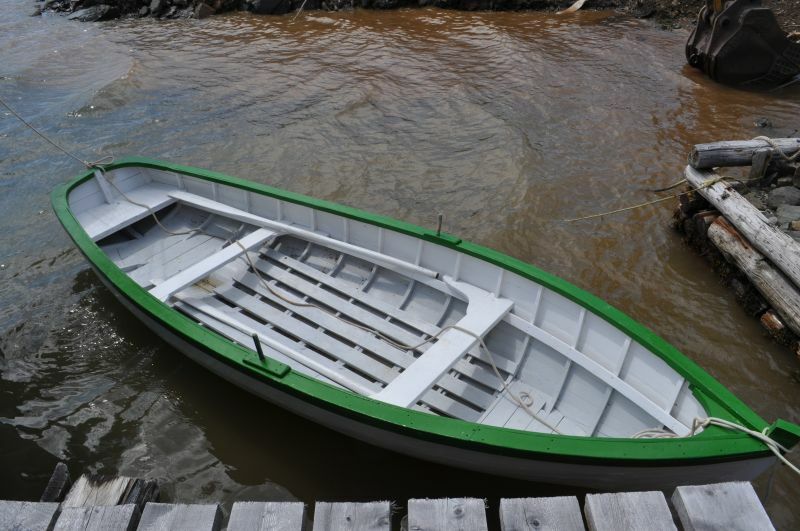 While the difference between a punt and rodney varies throughout Newfoundland and Labrador, in Winterton, the two are remarkably similar with only a few slight distinctions. 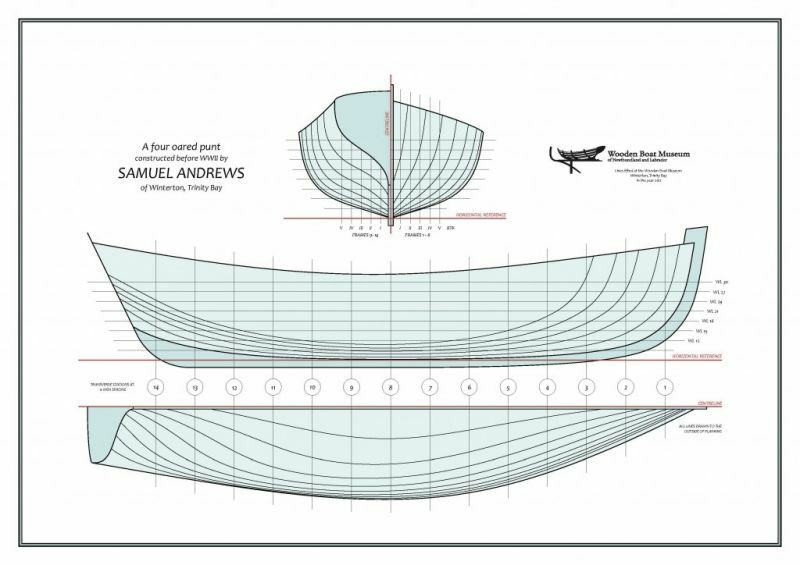 Samuel Andrews was born in Scilly Cove, now known as Winterton, in September of 1877. 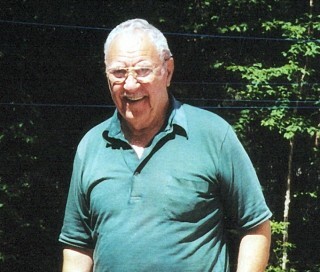 Known by most as “Uncle Sammy” Andrews, he and his wife Jedidiah had four children: Rachael, Wilson, Sarah, and Nehemiah. 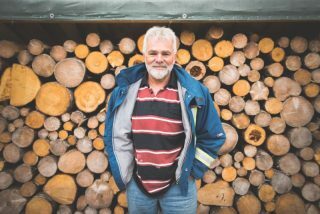 Samuel was a fisherman and like many others in the industry, he would keep busy year-round to provide food and income for his family. 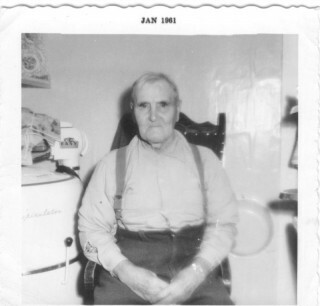 In addition to fishing, Uncle Sammy hunted small game, cut timber, went sealing, caught sea birds, and cultivated land according to the seasons.